LOS ANGELES, Calif. /California Newswire/ — iMobie Inc., a leading software company focused on Android and iOS, announces that its ultimate data recovery tool PhoneRescue supports recovery of data from all Android phones and tablets, including SAMSUNG, HUAWEI, LG, XIAOMI, SONY etc. No brand limit anymore. With the highest data recovery rate in the industry, PhoneRescue will dig into every corner of your phone and bring back all your lost-but-valued messages, contacts, photos, music, videos, app data and more with ultra ease – even restore your most valued data directly to your phone. 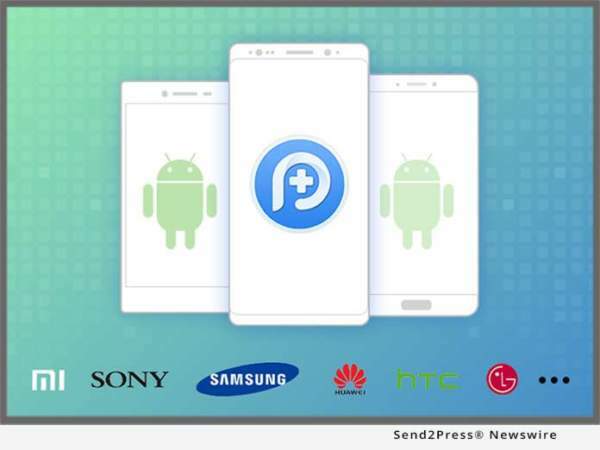 PhoneRescue now supports all Android devices, like SAMSUNG, HUAWEI, LG, etc., and brings back your important messages, precious photos, and more with one simple click. No matter what kind of Android phone or tablet you use, PhoneRescue will always find the best way for you to quickly scan, preview and recover data, whether your phone is rooted or not, and save you from any data loss. Built on the latest innovative technologies, PhoneRescue maintains its leading position to retrieve data with the highest recovery success rate. All your lost data, as well as your hidden photos and app data, will be found out and displayed clearly in categories. You can then select and bring back what you need in minutes. PhoneRescue is the only Android recovery tool that can restore your crucial personal data directly to your phone for instant use, including messages, contacts, call logs and calendars. Better yet, you can also recover your photos, music, videos, and even app data to your computer with zero quality loss – no root required.